Jaguar F Type Exhaust – High Performance “wake the dead" Jaguar F Type Exhaust System. Jaguar F Type Exhaust – High Performance “wake the dead Jaguar” F Type Exhaust System. 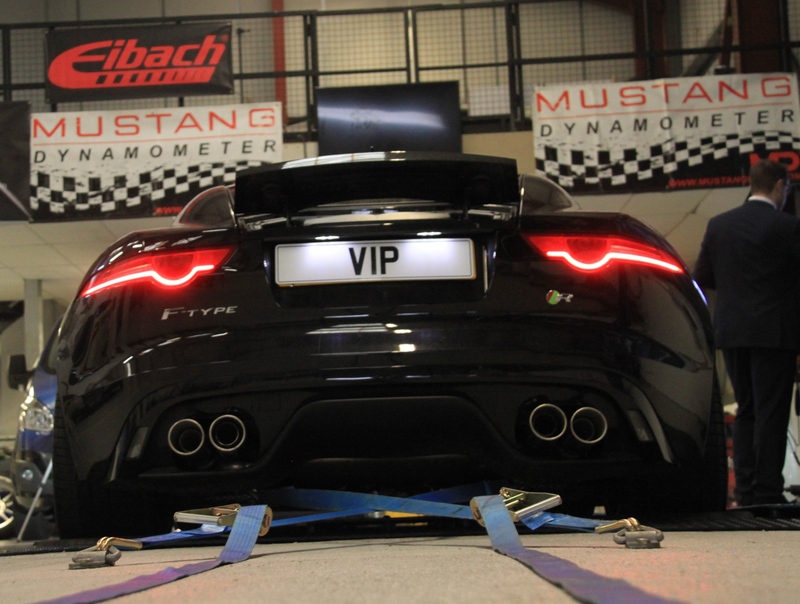 The Jaguar F Type Exhaust – High Performance exhaust system from Viezu. Also very importantly we wanted to maintain the Jaguar F Types switchable exhaust settings, giving the driver the choice of sound level. We also wanted to reduce the overall size and weight of the exhaust system keeping the quad tail pipes with the two outer pipes utilising valves for the benefits of back pressure at lower revs and airflow once the revs pick up. These valves can be over-ridden by selecting the open mode setting inside the car. Our new Jaguar F Type exhaust also has a crossover or X pipe to further aid with back pressure and exhaust gas scavenging across the F Types V8 engine banks. Our new Jaguar F Type Exhaust system is available in two options, either as a cat back exhaust – (centre and rear sections, or a full manifold back exhaust including 200 cell racing cats. Our complete Jaguar F-Type V8 exhaust system is unparalleled, the sound is quite simply stunning and has to be herd to be appreciated. F Type tuning and other styling modification are also available. Contact Viezu on 0044 (0)1789 774444 or email info@viezu.com we are working with the world’s top manufacturers to develop performance filters, brake and suspension upgrades, performance remaps and body styling for your F Type too.